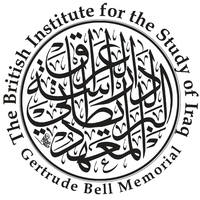 The British Institute for the Study of Iraq (BISI) offers 2 to 3 scholarships each year to enable Iraqi scholars and cultural heritage professionals to engage in research, training and collaborative projects in the UK. Projects should focus on the history, society and culture of Iraq from the earliest times until the present. We welcome applications from scholars involved in the following fields: anthropology, archaeology, history, geography, languages and other areas in the arts, humanities and social sciences. All applicants must be currently based in Iraq and should demonstrate how a scholarship in the UK will strengthen the research and cultural heritage environment in Iraq. Priority is given to Iraqi scholars who already have a working relationship with a UK institution or academic.